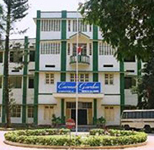 Carmel Garden, the First Matriculation School for boys in the city of Coimbatore, was started on the first of June 1964 by the Coimbatore Catholic Diocese Society under the auspices of the R.C.Mission. Founded by His Excellency Rt. Rev. Mgr. Francis M. Savarimuthu, the then Bishop of Coimbatore, the School came up in a vast campus of seven acres in prime locality near Sungam and Red Fields. Membership will be offered to anyone who has studied in Carmel atleast one full academic year. There will be two levels of membership. house of books, periodicals, maps, CD Roms, and other reference materials. conducted by the University of Madras. All the students came out spectacularly. One of the students stood first in Science at State Level.